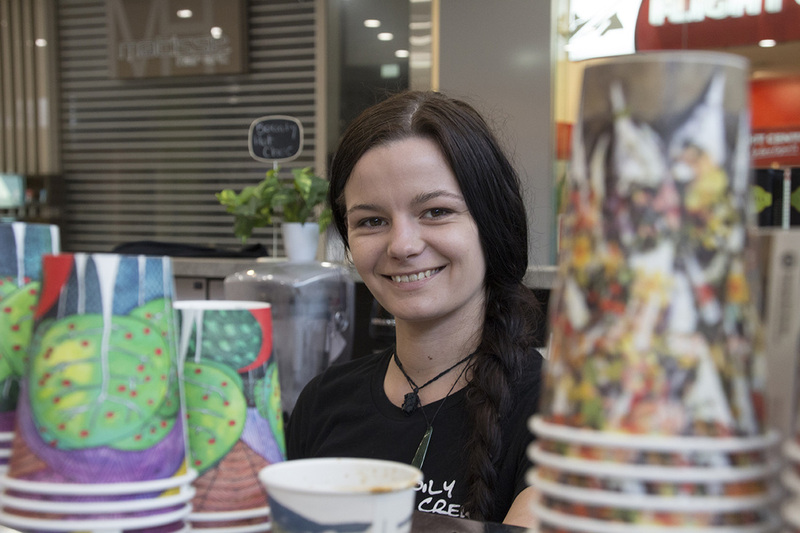 Barista Tegan Rossiter wanted to do her bit for the environment, so when she started work at the Winding Creek Espresso Bar in Cardiff, she did a web search for local environmental groups. Four weeks later, 50kg of used coffee grounds each week are being diverted from landfill, and are instead enriching the compost and gardens at both the Waratah/Mayfield and the Warners Bay Community Gardens. Tegan is turning brown coffee grounds into green vegetables. Tegan’s web search led her to the Cardiff Area Sustainable Neighbourhood Group (CASNG). The group agreed that it would be an excellent project, consistent with the aims of Sustainable Neighbourhood Groups, and asked the members to assist. 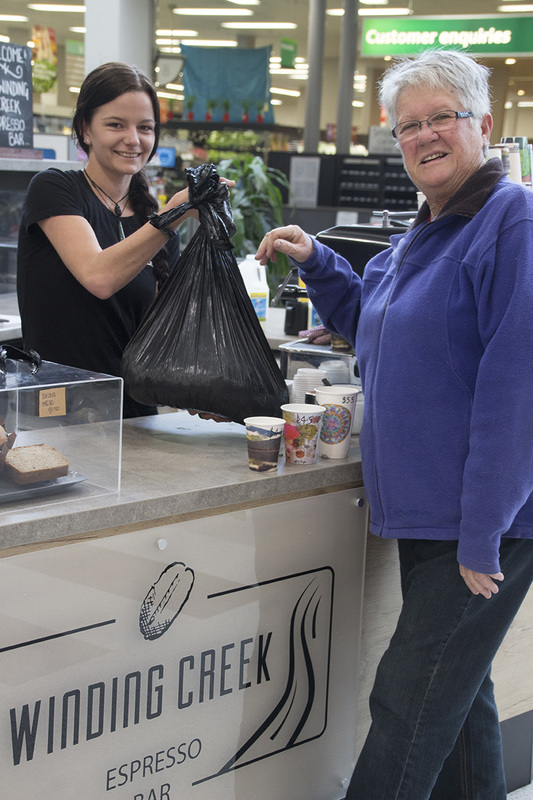 Member Kerry Cooper now drops in to a number of coffee bars on her usual work commute, and picks up the coffee grounds each week. With the co-operation of owner Liz Beggs, Kerry collects from the Oily May, in Mayfield, the Oily George, in Georgetown, as well as the Winding Creek Espresso Bar in Cardiff Shopping Centre. After mentioning the scheme to near neighbour Kelly, who owns the Mosh Pit Retro Café in Cardiff, Kerry had another weekly load of grounds to add to the haul. 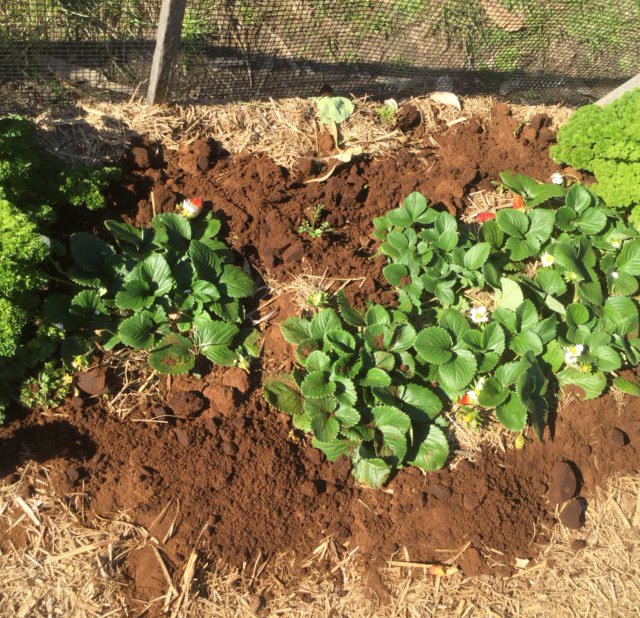 With her weekly haul, Kerry is off to the grateful Waratah/Mayfield and Warners Bay Community Gardens, where the grounds are added to the compost bins, or spread around strawberries to keep the snails away. Tegan Rossiter from Winding Creek Espresso Bar, handing over their used coffee ground to CASNG member Kerry Cooper. The coffee grounds spread around strawberry plants at Warners Bay Community Garden. The coffee grounds help keep snails and slugs off the plants, and gradually add nutrients to the soil as they decompose. Tegan Rossiter at Winding Creek Espresso Bar. 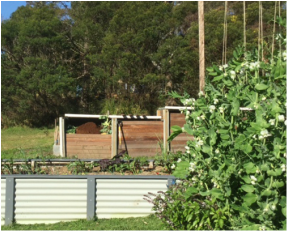 The coffee grounds are also added to the compost bins at Warners Bay Community Garden, adding a valuable source of nitrogen.